It’s not every day you get to have a workshop with one of your illustration heroes. Let alone a one-to-one session where he solves your story problem (of 2 years) in 10 seconds flat. There were a lot of amazing things about the SCBWI conference this year, but Alexis’ workshop has to be the highlight for me. 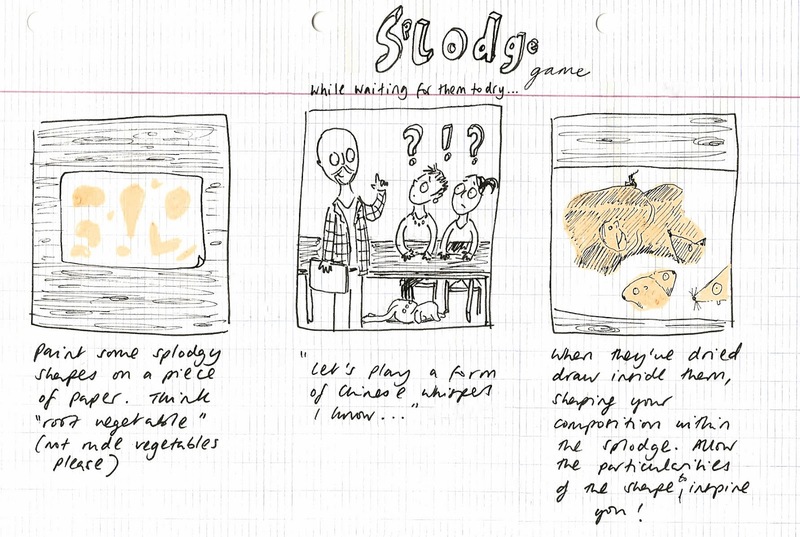 Alexis’ splodge game was also a great lesson in composition and brilliant fun for doodlers like me. A great way to end a brilliant conference. Thank you Alexis! I wish I'd been there! 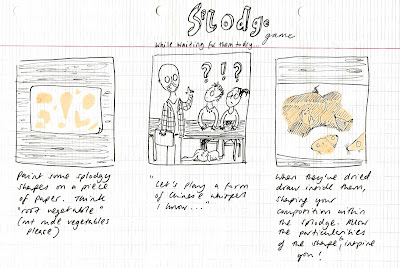 And as a non illustrator the 'space between the text and at the picture' is a really interesting idea. Thank you.